Tarn Crag's survey pillar is not far from the summit. It was built by the Manchester Corporation and used in building the aqueduct from the Haweswater reservoir. There is a similar pillar on Branstree. 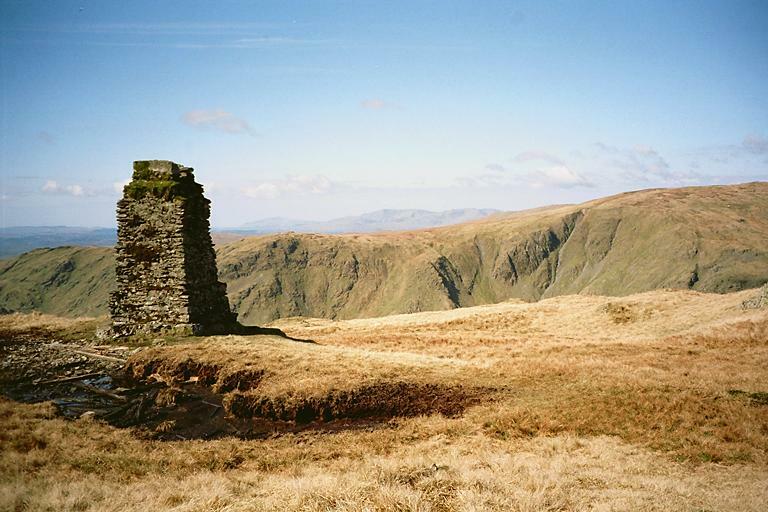 Across Longsleddale are Goat Scar, Brown Crags and Raven Crag; outcrops of Kentmere Pike. On the horizon are the Coniston Fells. Smaller version of this picture.